It's February and we are excited to bring you a brand new challenge. Be sure to stop on back this weekend for the winner’s announcement from Challenge 71, “Anything Goes”. Hearts... any kind of heart or hearts! 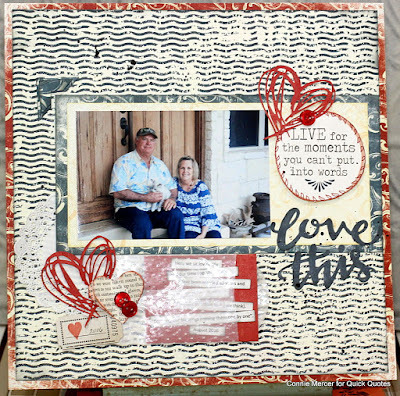 Hi, Connie here with the February Friday Challenge. I thought long and hard, and hearts kept coming to mind. Any kind of heart or hearts, let's see how you use them on a scrapbook page, card, mix media project or surprise us. We are Looking forward to seeing what you create! 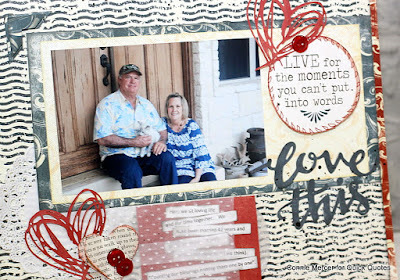 I have four heart embellishments on the scrapbook page. 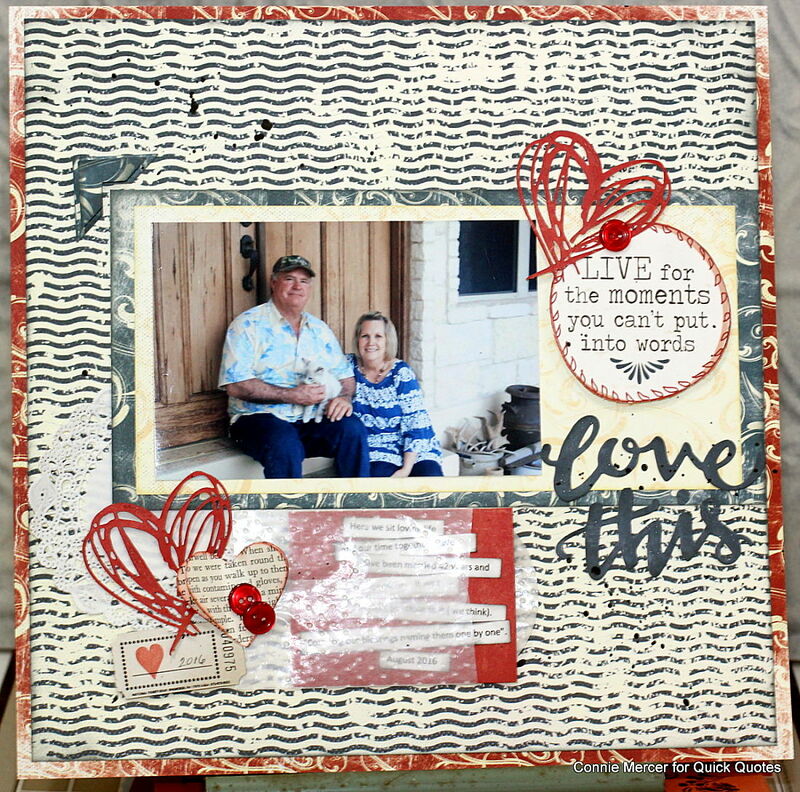 You can die cut hearts, hand cut a heart, stamp hearts, there are so many ways to add hearts to a scrapbook page or project. Other: Buttons, steel die, doily, small envelope and newsprint heart embellishment. This month's challenge theme is "Hearts, Any Kind of Heart or Hearts!" Amazing layout. I love those hearts diecuts, super cute. TFS and for the fun challenge. The layout is beautiful. Love the textures and quotes. Lovely layout and thanks for a fun challenge!